Do we require special permits? Would you be taking care of the permits? 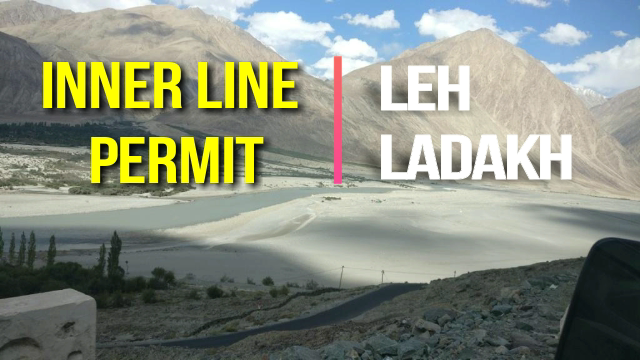 Indian nationals require an Inner Line Permit (ILP) o visit some of the protected areas in Ladakh. It is only required for some areas like Nubra Valley, Khardung La, Pangong Tso, Tso Moriri, Dah, Hanu Villages, Man, Merak, Nyoma, Loma Bend, Turtuk, Tyakshi, Chusul, Hanle, Digger La, Tangyar (for trekking only). Tourists from China, Pakistan, Taiwan, Bangladesh, Afghanistan, and Hong Kong require a special permit from the Home Ministry to visit the region. All foreign nationals require a special permit when going through the Tso Moriri to Pangong Tso lake via Tsagala. There is also a special permit needed for tourists who are travelling to Ladakh on an official or work visa. Go2Ladakh will obtain the ILP for you. All we would require is your documents and we can take things from there. For everything else, please carry a valid, government-issued photo ID proof and address proof, and photocopies of these documents.